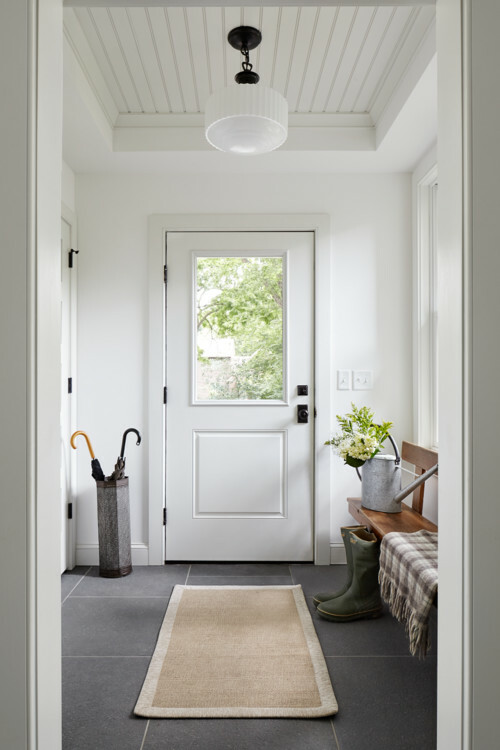 This entryway has a high shiplap ceiling accented with a pretty black and glass ceiling light. The wood bench is the perfect spot to sit down and take off your boots. That white door with its large window is also a highlight of the space!